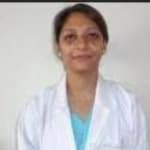 Dr. Prabhjot Kaur Bajaj is an experienced Pediatrician in Patparganj, Delhi. He has helped numerous patients in his 24 years of experience as a Pediatrician. He is a MD - Paediatrics, Diploma in Child Health (DCH), MBBS . He is currently practising at Max Super Speciality Hospital-Patparganj in Patparganj, Delhi. Don’t wait in a queue, book an instant appointment online with Dr. Prabhjot Kaur Bajaj on Lybrate.com. Lybrate.com has an excellent community of Pediatricians in India. You will find Pediatricians with more than 33 years of experience on Lybrate.com. You can find Pediatricians online in Delhi and from across India. View the profile of medical specialists and their reviews from other patients to make an informed decision. Dear Sir/Madam. I am from Arunachal Pradesh, Kanubari Block. I have a baby girl 11 months and in january she will attain in 1 year. My question is that why she is not sleep as other child as we know that sleeping is very much essential to every child to grow fast. And also she is feeling unfree while doing toilet (piss). Kindly give me some suggestion as there is only one Community Health Centre and no any other hospital in the place. generally babies of her age should sleep minimum 12 hours a day. If she cries while urinating then there may be problem of uti. Clean her privates with very mild soda bi carb solution and maintain hygiene . My 1 year old son is having cold for more than 15 days despite taking medicine. Any suggestions. My son had dengue 4 months back and again had dengue. Why? he also have throat infection. Do prevent a sore throat infection, a sore throat (pharyngitis) is normally a symptom of a bacterial or viral infection, such as the common cold. In around a third of cases, no cause for the sore throat can be found. If you have a sore throat, you may also have: swollen tonsils (tonsillitis) fever enlarged and tender glands in your neck discomfort when swallowing I am a general physician who will prescribe you an appropriate treatment plan for your case, do reply back for medications. Being also a general physician, I prescribe both evidence based herbal as well as allopathic medicines complementing with dietary tips taking into account patient preferences. My wife stopped breastfeeding to our baby on 8th feb 2016 and on 15th feb 2016 she found small lump on her right breast, she also feel pain in her right breast too. She had needed her baby for last two years. Her right breast is little big in comparison of left one. What kind of symptom is this, and tell us any treatment or home remedy for this problem. Just do hot fomentation, and do not press the breasts to remove the milk. The lump will disappear within a week. I am a mother of twin pre-Term children. One of them is a male and another one is a female. Now they are 14 months old. I want to know which kind of food I should give them to make them healthy and brainy. Although they are two months pre-term children but now their clinical development is as normal children of full term. They have started walking and little talking. Please share an ideal diet chart for them. We are non vegetarian. Every nourititous food available in home of their choice n taste including milk and/ or its products and seasonal fruits n vegetables at their liberty. Attention-deficit/hyperactivity or ADHD is a brain disorder that has seen a sudden rise in the recent years. It is most prevalent among children, however, if left untreated, adults too can continue showing ADHD traits that started in their childhood. In the USA alone, over two million children are currently under treatment for ADHD. As per a study conducted by Skogli and others in 2013, ADHD is more commonly found in boys than in girls, with a ratio of 3:1. Researchers are still exploring the factors that may cause ADHD. However, there are chances that this disorder is hereditary. In this fast moving world parents often fail to provide their child with proper attention and care leading to ADHD. It has been found that ADHD is more prevalent among single parent families. ADHD symptoms range between mild, moderate to severe. These symptoms normally start before the age of twelve, while in some children they may start as early as three. Children with ADHD fail to pay proper attention, easily get distracted, frequently forget to do daily activities, may avoid or dislike tasks that require mental effort and have trouble organizing tasks and activities. Other symptoms include hyperactivity and hypersensitivity - like talking too much, interrupt other’s conversation. If you notice these symptoms in your child don’t hesitate to consult an expert. Unlike conventional medicine, homeopathy is non-toxic, safe and yet effective. In conventional treatment medicines like Ritalin/methylphenidate and other psychiatric drugs are used. Although these drugs may provide some short-term benefits, however, are ineffective when it comes to long-term benefits. Above all these medications have side-effects such as restlessness, anxiety, tremors, headaches, allergic reactions, dizziness, abdominal discomfort among many. Some children may even experience a dramatic reduction in height. These side-effects make the parents and doctors explore other alternatives to treat ADHD before resorting to conventional medicine.Homeopathy is a viable alternative to treat children and individuals with ADHD. Various researchers have acknowledged that homeopathy is a much safer treatment with good results. According to Frei and Thurneysen(2001), homeopathic medicines have same benefits to that of conventional drugs like Ritalin. However, homeopathic medicines don’t have the side effects that Ritalin has. Overall Ritalin showed 65 percent improvement rate, while homeopathic medicines showed an impressive 73 percent improvement rate. As homeopathic medicines are non-toxic and safe to use, one doesn’t necessarily need a prescription to buy them. There are several popular homeopathic remedies that one may use to treat ADHD. Stramonium is one such popular remedy; it is obtained from Datura stramonium. Other popular remedies include Cina, Hyoscyamus, Tuberculinum, Vertaal and Arseniod. These are some of the remedies that may be used to treat ADHD, however before taking any medicine always consult a licensed medical practitioner. My 11 months old baby is hyperactive and his weight is around, 10 kgs, so I'm worried bcz my family members think he's not really healthy enough. So please suggest some diet. Thanks. Don't worry.. for now just concentrate on giving him optimum nutrition.. and don't fixate on weight... And for hyperactivity and other problems take Homoeopathic treatment..
Is cow milk harmful for 2 years child through betel or cup, if cow milk will be harmful then what milk I can give to my child. Hi Syed, Cow milk is not a problem for child, but unhygienic conditions can be. Like, if the Cow is getting steroid injections for giving more milk, If Milkman is adding more water to increase volume ( from where he is adding that water - a plastic drum?) You should give your child milk, only after boiling it nicely or can use Pasteurized milk. My baby 4 months old, her eye in infection and eye under in yellow type (chip-chip) dust. I given the mezol eye drop. Please advice me. Hello Mezol contains decongestant Naphazoline and it won't help in infection.I would suggest you to use ciplox eye drop 1 drop each eye 4-6 times a day. First wash your hand with soap properly and then clean the eye from inside to outside with the help of cotton swab soaked in distilled water each time before putting the eye drop.Avoid Kajal if you are using it. My daughter is 3 years old. I have given all the vaccines as per schedule till date. Are vaccines for flu and pneumonia absolutely required to give her? Pneumococcal vaccine is now recommended for routine use as per iap and hence should be given. Flu vaccine is recommended for high risk individuals like those with asthma, allergy, frequent episodes of cough and cold and so on.